We have just released our first comprehensive local district pedestrian counting report. And you can have a copy. Make sure you’re subscribed to A Beautiful City (put your email in – over there on the right). And like us on Facebook, too. And click all the other things on the right and like, share and … whatever. Then let me know and I’ll email you it … for free (hello@abeautfulcity.com). 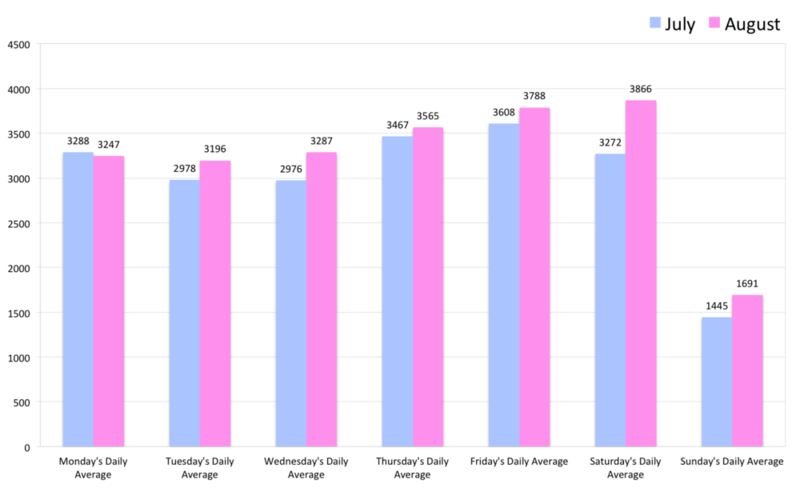 Above: Each day of the week measured, averaged and compared – growth from July to August 2013 – for the local district of Claremont, Western Australia – one of the country’s top-ten retail areas by rental cost.